* The transaction fee is £3.50 for Box Office Collection. Daryl Hall and John Oates are the NUMBER-ONE SELLING DUO in music history! Returning to the UK after an absence of nearly ten years the infamous duo is set to delight fans across the UK. 2014 is already a huge year for Daryl Hall and John Oates, as they have recently been inducted into the Rock and Roll Hall of Fame! 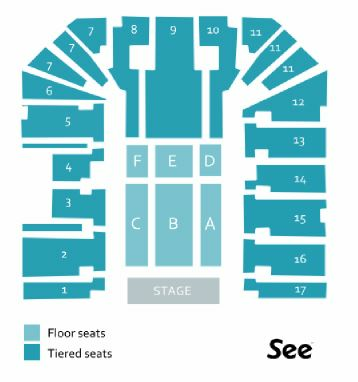 The legendary duo begin their tour at the beginning of July in Nottingham and appear at London's Hammersmith Eventim Apollo before finishing the tour in Birmingham. With over 30 top ten hits, including 'You Make My Dreams', 'Out of Touch', 'Private Eyes' and 'Maneater' Daryl and John will pull on tracks from their combined illustrious careers for these special shows. Pop. Awards have previously gone to the Bee Gees, Crosby, Stills & Nash, Paul Simon, Brian Wilson, Willie Nelson, James Brown, Ray Davies, Carlos Santana and Dolly Parton. From the mid-1970s to the mid-1980s, the duo scored six number one singles on the Billboard chart, including "Rich Girl", "Kiss on My List," "Private Eyes," "I Can't Go For That (No Can Do), "Maneater" and "Out of Touch" from their six consecutive multi-platinum albums - Bigger Than Both of Us (1976), Voices (1980), Private Eyes (1981), H2O (1982), Rock N Soul Part I (1983), and Big Bam Boom (1984). The era would also produce an additional 5 Top 10 singles, "Sara Smile," "One on One," "You Make My Dreams," "Say It Isn't So" and "Method of Modern Love." Daryl Hall's most recent solo project is a multi-award-winning monthly web series (and Palladia TV show), Live from Daryl's House (www.livefromdarylshouse.com). "It was a light bulb moment," he says of the show's genesis. "I've had this idea about just sitting on the porch or in my living room, playing music with my friends and putting it up on the Internet." Live from Daryl's House is also aired weekly on the Palladia Channel every Thursday at 11pm EST/8pm PST. Daryl released his solo album, Laughing Down Crying, on Verve Records on September 27th, 2011. The album has received a lot of critical acclaim from the Huffington Post, Spinner and Pop Matters, who said: "With the songs that make up this fine collection of American soul and pop music, Hall proves that with the pen and at the mic, his voice is more than capable of reaching the depths and heights of emotional truth." 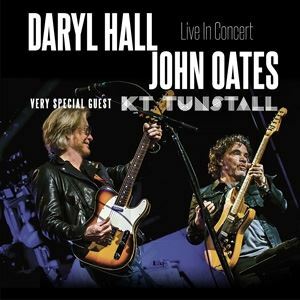 With 41 years of experience and success behind them, 2014 finds Daryl Hall and John Oates very much at the height of their powers making their own kind of soul, with a new generation of musicians recognizing not only their historic track record of success, but also their continuing influence and achievements.